Foodies are game for a tikki any time of the day! We’ve even seen people who have tikkis with their morning tea – are you one of them? 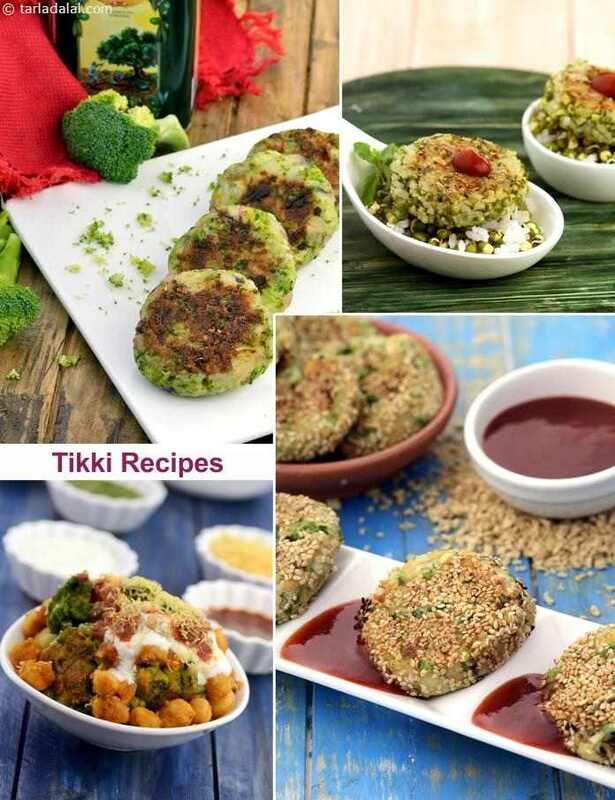 Even if you aren’t such a die-hard fan, we are sure you love tikkis too, because everybody does. Served with peppy chutneys like Mint Chutney, Sweet Chutney, Green Chutney, ketchup or curd-based dips, tikkis are so popular and varied that they classify as a special category in Indian cooking. Originally popular in North and Western India, they are now enjoyed by Indians all over the world. It is now common to find Aloo Tikkis served even in small eateries in remote parts of the country! Tikkis are small round or oval-shaped snacks, usually around 2 or 3 inches in diameter. Normally, potatoes are mixed with other ingredients like herbs, spices, dals, sprouts and other veggies too. This dough-like mixture is then shaped and cooked. They can be deep-fried or shallow-fried. Nowadays, we also encounter healthy versions that are baked or tava-cooked. We also see health-conscious people going for ingredients like oats and nachni flour to bind their tikkis instead of mashed potatoes. The tikki is one of the most popular street foods in the Delhi region. As you pass by vendors selling tikkis, you can hear the sizzling sound of tikkis being shallow-fried with oil and ghee on large tavas. The tikkis can be enjoyed just like that, accompanied by some chutney, or they can be made into a chaat, topped with chole, curds, sev, chopped onions and tomatoes, seasoned with peppy spice powders, and garnished with coriander. Tikkis are also popularly served as appetizers or starters at parties and in restaurants. Normally, when they are served as appetizers or cocktail accompaniments at parties, the tikkis are made small and bite-sized, so that they can be handled easily by the guests. Many big restaurants offer tikki platters, where you can taste many varieties of tikki at one go, accompanied by salads and a few types of chutneys and dips. Tikki sizzlers, where the tikkis are served piping hot on a sizzler plate, topped with chole, salads and sauces, is also gaining popularity now. The world of tikkis is too large and too versatile. You have endless variety to choose from, and on top of that you can make your own yummy variants. Here are some of our favourites for you to try and be inspired by! Whole masoor has been combined with bread crumbs and paneer and flavoured with loads of mint. A minty fresh delight!